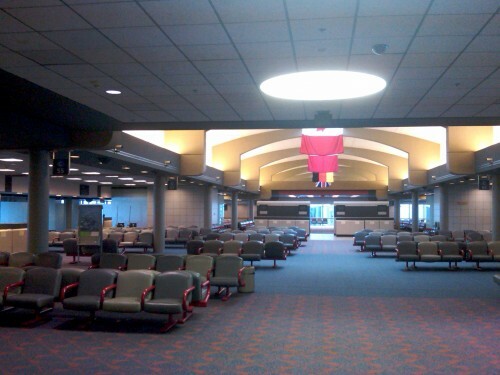 Pittsburgh has a fantastically nice airport that no one uses. It used to be US Airways’ primary east-coast hub, but US Air has gone from 500 flights a day through there to, like, ten. So now it’s mostly empty. But it’s a great layout, it’s easy to get from one gate to another, it doesn’t require a train to get from the A gates to the D gates, there’s plenty of room to sit, there’s a mall with upscale stores in the terminal, decent food options… Just that there’s no one there. I like ghost towns and ruins. Except that sometimes the places that are called “ghost towns” are kind of disappointing. All those “buildings” in Death Valley, for instance — I mean, there’s no romance there. You can’t see anything of what used to actually go on since it’s all so dilapidated now. But at some point during the big road trip last year it occurred to me that I didn’t need to seek out “ghost towns”, because they were right in front of me. Every boarded up house in the world is a “ghost house” — there were some impressive examples in Natchez, for instance, and I remember a lot of disappearing Americana in rural Southern Oregon as well. And there was some town I drove through in Texas that looked like it had been abandoned within the last ten years. It wasn’t a wild west ghost town, but it was awesome anyway. 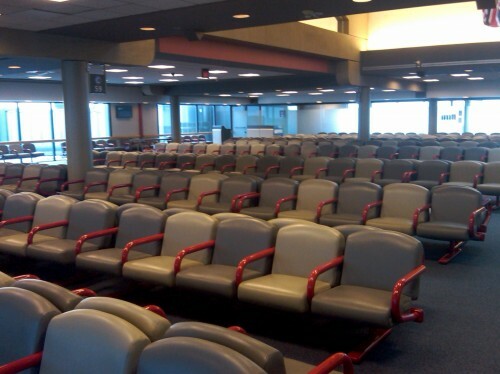 It’s also interesting to me that they keep these parts of the terminal open to the public. The international gates, for instance, have a door on them so they could be shut off, but the door is wide open. 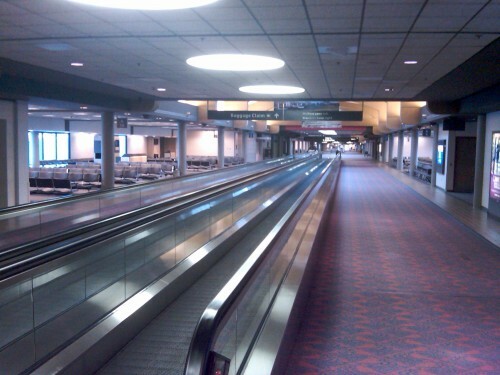 The moving sidewalks still move, the announcement tells you to please stand to the right and pass on the left and caution, because the moving walkway is nearing its end. But there’s no one there to hear it. Bridge tables sprouted from patio walls. Playing cards fluttered onto pads in a shower ofpips. Martinis manifested on an oaken bench with egg-salad sandwiches. Y’know part of me hopes there’s a big nuclear war some time just so I can see if any of the post-apocalyptic prognostications ended up having any validity. What’s the point of guessing at it if you never even get to see it?! I admire your insatiable curiousity. But, I am still praying for world peace. Sorry, Brian. That’s no fun. What we need is for the world to have an auto-save function so that we can blow it up, then revert to the last saved version. That’s what *I’m* praying for. You are so funny. Thanks for the laugh. It’s a true talent to make nuclear holocaust amusing.